as summer comes to a close, one thing i will miss more than anything is summertime cooking. there’s nothing like the fresh seafood and ripe fruit here in long island, so i hope to make the most of it before i head back to school! 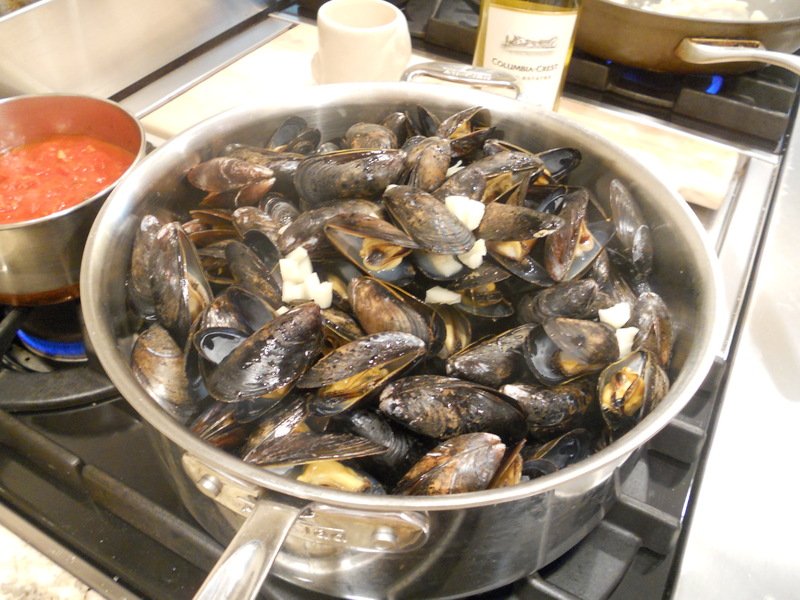 we threw together a delicious meal a few nights ago and me (along with my family) enjoyed the turnout. 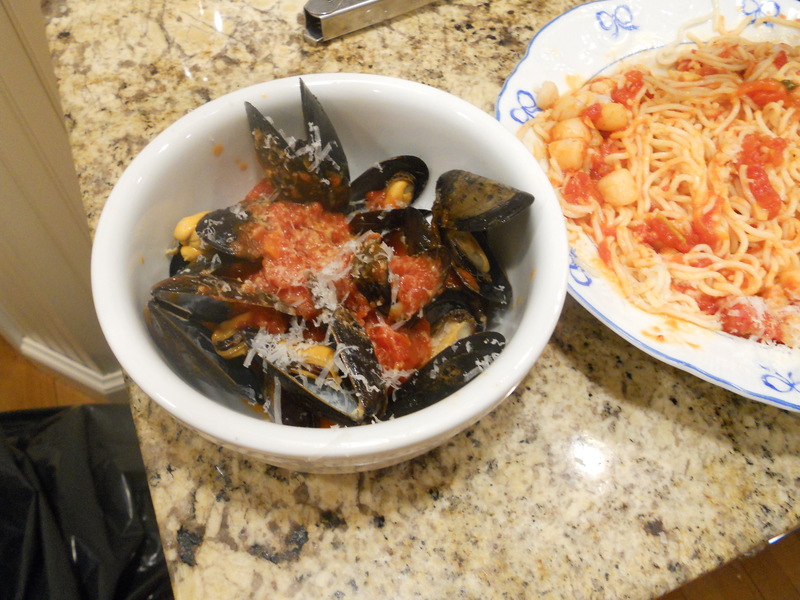 mussels and scallops in a red sauce, with fresh pasta is SO good, and if you’re a fan of all of those foods, i promise you’ll like this. 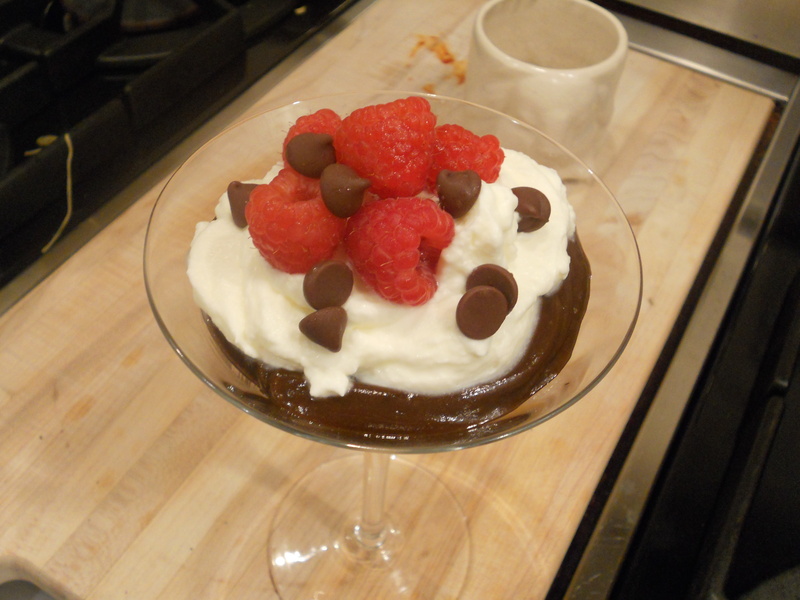 dessert was simple, but delicious: a rich chocolate pudding with fresh whipped cream, raspberries and frozen chocolate chips.